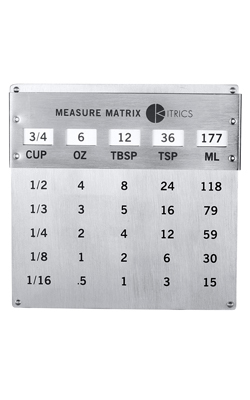 Its unique sliding display makes finding the answer virtually foolproof. And because you’ll always want it nearby, we made it both magnetic and attractive. Shows common cooking equivalents. Keeps good recipes from going bad.